When asked why they want to go on exchange, most students say that they want to experience another culture. Usually this is said in the broadest sense and it isn’t until later that they truly understand the challenges and rewards to come. While your child is experiencing another culture, you too will be experiencing that culture through your child’s eyes. Therefore, to best understand and support the experience, you’ll enjoy learning about how culture really influences our lives and our perceptions. Technically speaking, culture is the values, beliefs, attitudes and ideas that a group of people hold in common.Think of it as a set of unwritten instructions that we each acquire over time and use daily without thinking about it. The culture of any group of people is their total way of life. But culture cannot be seen, except as it is reflected through behaviors. Think about it…do you take your shoes off when entering a home? This may demonstrate valuing cleanliness. Is “ma’am” and “sir” used to address people older than you? This likely shows a deep respect for elders. Are men expected to open doors for women and never the other way around? This reflects beliefs surrounding gender roles. YFU orientations introduce your child to culture through the Edward T. Hall's iceberg analogy.By understanding this model yourself, you will have a common language to talk with your child about their experience living in another culture. Challenge yourself by learning the iceberg analogy. We are all influenced by many cultures – our family’s culture, our religious community, our ethnic background, the region of the USA in which we live, and of course the American culture. Each of these cultures influence our perceptions and expectations of behavior. In other words, what seems like the most natural behavior to one group may be completely foreign to another. “Imagine that everyone in the USA is born with a pair of sunglasses, and those sunglasses have yellow lenses. No one has ever thought it strange or weird because they have always been there. Everything that everyone has seen, learned or experienced has been seen through these yellow sunglasses. Thousands of miles away, in another country, everyone there is born with a pair of sunglasses too but the lenses of those glasses are blue. No one has ever thought that it strange or weird because they have always been there. Everything that everyone has seen, learned or experienced has been seen through these blue sunglasses. While the American was smart enough to know he need a pair of blue sunglasses, he forgot that he was still wearing his yellow sunglasses. It is extremely difficult to remove our own cultural lenses to understand the world from another perspective. There will be countless instances when your child will be challenged to assess a situation through the host country’s cultural lens rather than making judgments based on expectations. Perhaps your child’s host family will have wine with every meal. Your child may have a 7pm curfew or perhaps no curfew at all. Maybe the host family will have a maid who cleans the house or a pet dog who isn’t allowed in the house. 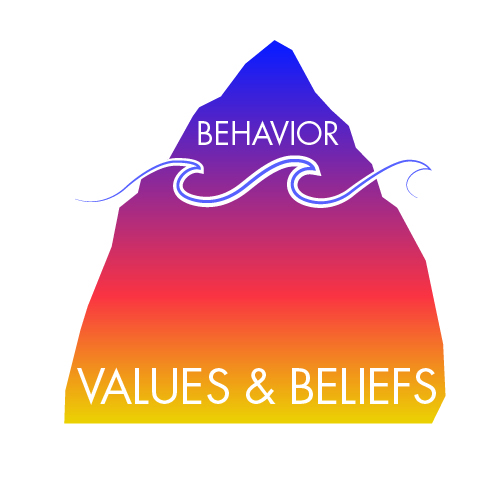 Trying to figure out the value or belief that is the basis of behavior is not easy, but it’s enlightening. Tell us an“I never thought of it that way” experience you have had. Please share by clicking the Leave a Reply button above this post. When asked why they want to go on exchange, most students say that they want to experience another culture. Usually this is said in the broadest sense and it isn’t until later that they truly understand the challenges and rewards to come.While your child is experiencing another culture, you too will be experiencing that culture through your child’s eyes. Therefore, to best understand and support the experience, you’ll enjoy learning about how culture really influences our lives and our perceptions. Technically speaking, culture is the values, beliefs, attitudes and ideas that a group of people hold in common. Think of it as a set of unwritten instructions that we each acquire over time and use daily without thinking about it. The culture of any group of people is their total way of life. YFU orientations introduce your child to culture through the Edward T. Hall's iceberg analogy. By understanding this model yourself, you will have a common language to talk with your child about their experience living in another culture. Challenge yourself by learning the iceberg analogy. Tell us an “I never thought of it that way” experience you have had.